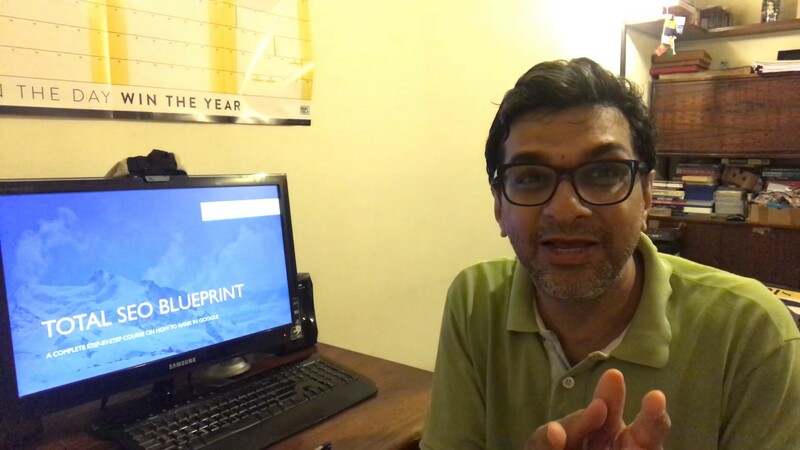 If you’re interested in learning the art of Search Engine Optimization and the theory and concepts behind the algorithms that power Google Search, you should check out my SEO Course on Udemy – Total SEO Blueprint. This is the only SEO Course You Will Ever Need! I will teach you how to start ranking sites through my simple step by step method. I will remove all the myths and misinformation you had about doing SEO and ranking sites on the top of Google. This course spans over 21 hours and is for beginners as well as advance level experts who are seeking to learn exactly how the Google algorithm works so thy can start ranking their sites. You get direct access to high quality training from an SEO expert with over 10 years experience doing core Search Engine Optimization. Learn how to absolutely crush Google and start ranking your sites at the top! Are you still doing SEO with methods from the year 2010? The Google Algorithm has changed a lot in the recent years. Google has released a ton of core algorithm updates and tweaks that has improved the ability of Google to serve its users. The word on the street is that it is harder for people doing SEO to rank their sites! … However, nothing could be farther from the truth than this! If you understand the inner workings of the various parts of the Google algorithm (and I show you exactly this) – you will find that it is easier to rank sites today than it was 7 years ago! – Stop using the outdated tools from the olden days! – Stop buying the wrong link building gigs on Fiverr that will only get your site penalized! – Stop doing the old school SEO that does not work! Join me in my massive but simple step-by-step SEO training. If you’re looking to get to the top of Google – this course and training is your ticket to the top! Go into the history of SEO – even before Google was born and learn exactly how the industry has evolved. Learn exactly how to do powerful Keyword Research Like the Pros! I reveal many of the top tricks being used by the gurus and I hold nothing back! One of the biggest advantages in this course is that, you can join me in the private message boards – to ask me any question you like. I will help clarify your SEO concepts and even help you rank sites you are struggling with. Once a week, I will review one website from an SEO perspective of any one lucky member. I will hold live webinars once a month to discuss SEO updates and new factor and also address questions from members. In this course you will go from a beginner SEO to a high-level SEO expert. I will be adding new material on a regular basis to expand on things in here. Every new algorithm update by Google will also be covered within days of it being released. By the end of the course, you will be able to start ranking your sites easily on Google. The private message board is priceless. In the SEO world – we all know how difficult it can get to figure out what is misinformation and what is real. Google does not tell anyone how its algorithm works. However, there are few very tightly-knit SEO communities out there where the SEO gurus share their knowledge from real experience. I am part of several of these, and I learn a ton from them. These are SEO masterminds and they work at a very high level! When you take this course, you get to ask any SEO related question, and you’re ensure of not getting “fluff” or inaccurate information back. If I can’t answer your question (which may happen occasionaly because its an advanced ranking factor thats not been discussed or a new algorithm update – I will get you a professional answer after discussing in the SEO guru communities. So, go ahead sign up and fire up the questions! You’ll get an expert response within a few hours! A 30 Day “No Questions Asked” Money Back Guarantee! A complete look-over-my-shoulder series where you can watch me rank a brand new site! If you’re serious about getting your sites to the top of Google – this is the course you’ve been looking for. Join me inside, and… I’ll see you at the Top of Google! I will be publishing the entire set of videos on my Youtube Channel shortly.